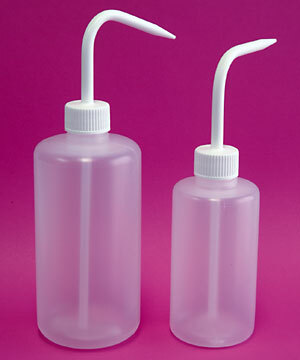 Each bottle holds 8 ounces (500 ml) of germicidal cleaner. Cap has directional spout for precise application. Both 16 ounce and 8 ounce bottles shown in photo.